Help fellow Trades Men & Women protect their livelihood's. Snippet from article found at Professional Plumbing & Heating Installer website. "Theft from vans has become the scourge of tradespeople across the UK. Heating engineer Peter Booth is leading the fightback against this epidemic that could be costing installers their livelihoods. 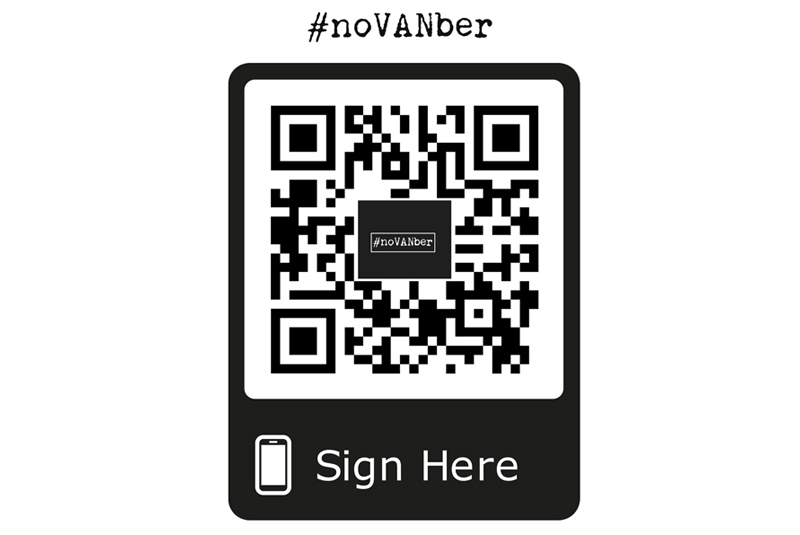 This November, Peter Booth is launching a campaign calling for tougher action on the perpetrators of van crime… and he is asking you to get behind the campaign by signing a petition and using the hashtag #noVANber across social media. There have been many of these petitions in the past but, unfortunately, they have never achieved the amount of signatures required to get the government’s attention in the short time frame allowed. So even if you think you have already signed and shared one of these petitions, please do get behind this campaign and help Peter, supported by TradesTalk and Breedon Cement, get 100k signatures needed in the month of November." QR code scan for quick Signup.